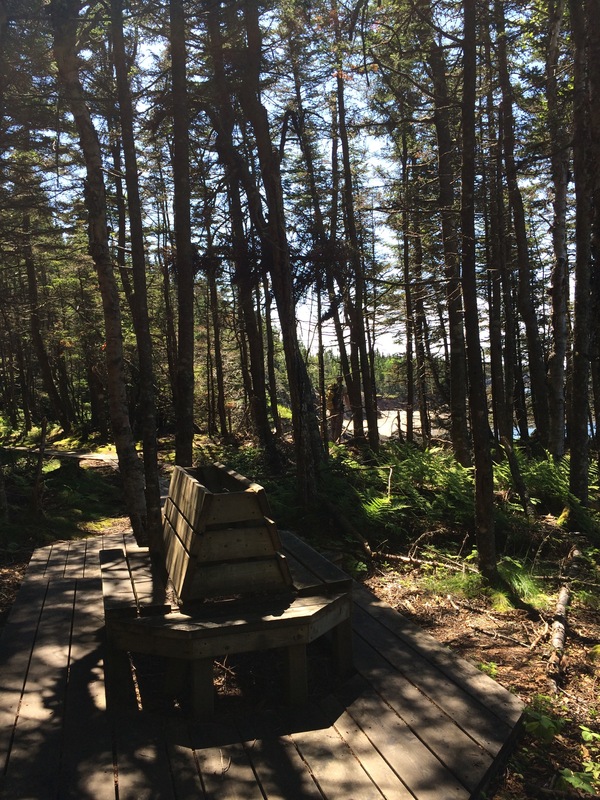 Just a 30 minute drive from Saint John is the New River Beach Provincial Park. I had not been there before and it had been quite a few years since Joel had. 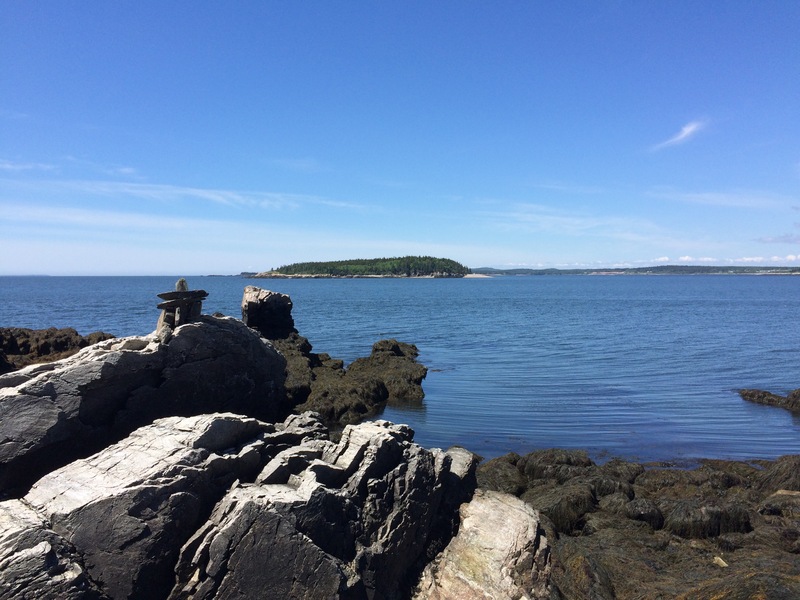 We had beautiful weather a couple Saturdays ago so Joel and I decided to grab our backpacks, a picnic lunch and some sunscreen and headed out to hike the nature trail. 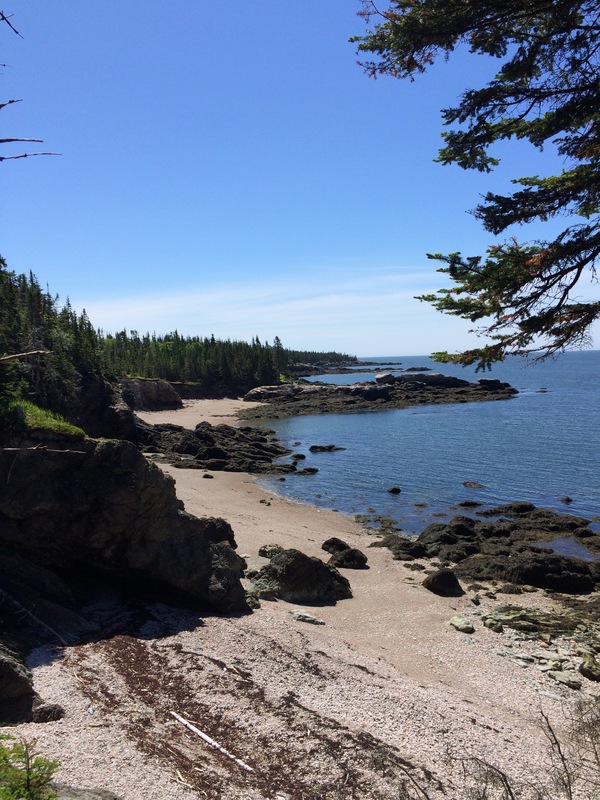 The New River Beach Nature Trail highlights everything I love most about living along the Bay of Fundy. The salty sea air, the cool bay breeze, sandy beaches and magical forest paths. I find there is something so peaceful about a walk in the woods. When you combine that with the soothing sounds and sights of the ocean and you have complete bliss. The trail is made up of two main loops that meet in the centre, like a figure 8. 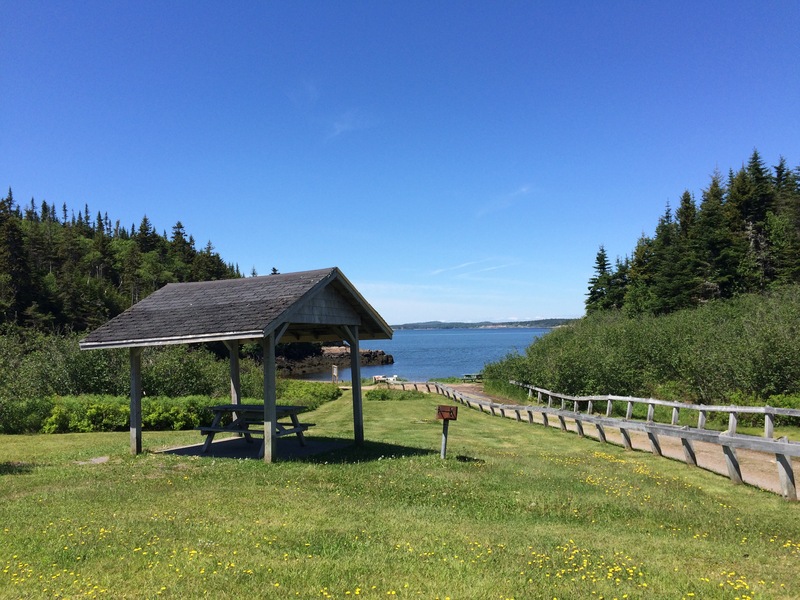 It’s well maintained with lots of boardwalk and follows the coast most of the way, offering really stunning views of the Bay of Fundy and the New River Island Nature Preserve. 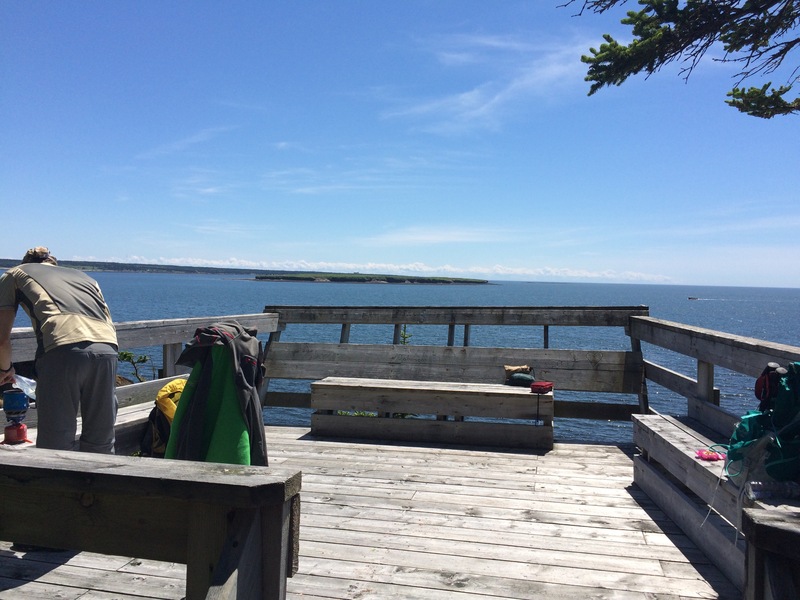 There are lots of places to stop and take a break along the way with several lookouts and wooden benches built along the trail. On the way back, you hike through a bog where you can see carnivorous Pitcher plants. The trail was pretty soggy with all the recent rain we’d had but it’s probably dried out quite a bit since then. It’s an easy trail with perhaps some moderate sections further out. We hiked the whole trail and the footstep counter on my phone said that it was 7 km in total. 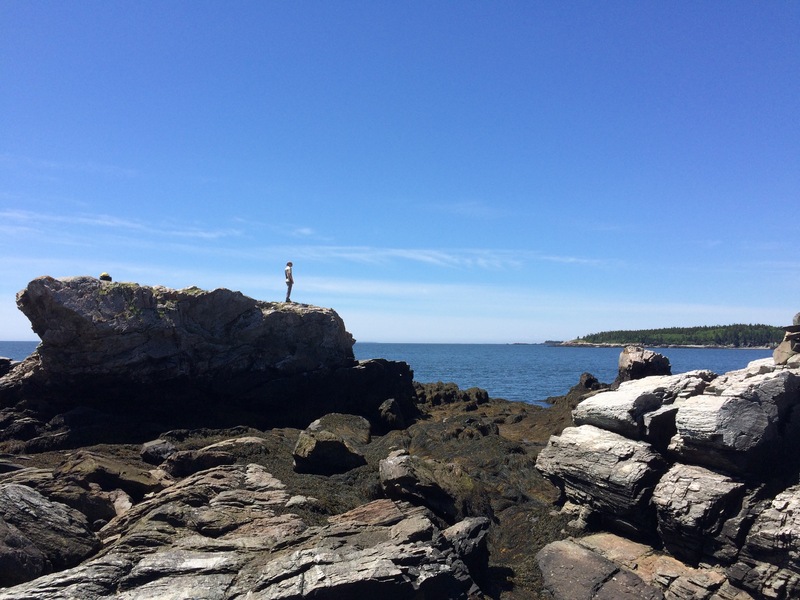 Plus when you’re finished hiking, you can walk over and soak up the sun at New River Beach. The weather looks great this weekend, ideal for checking this trail out. 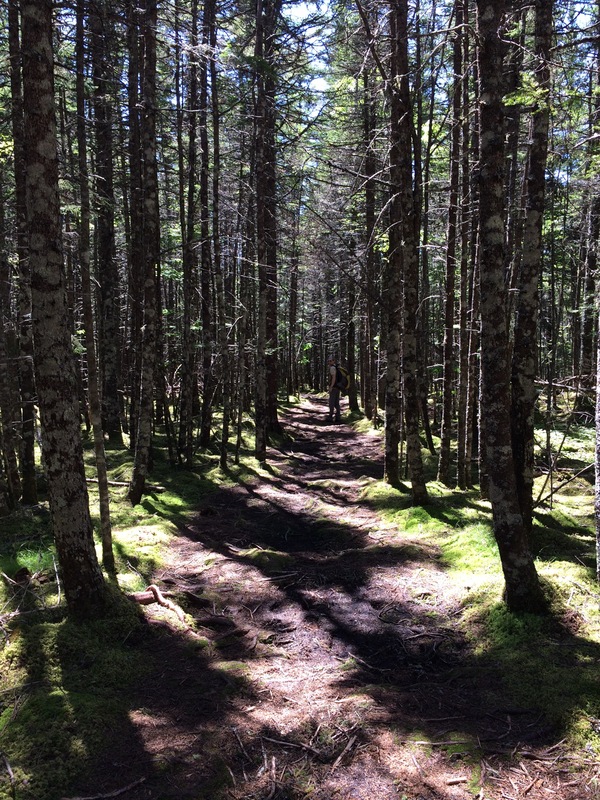 If you would like more information about hiking trails in New Brunswick, check out hikingnb.ca. 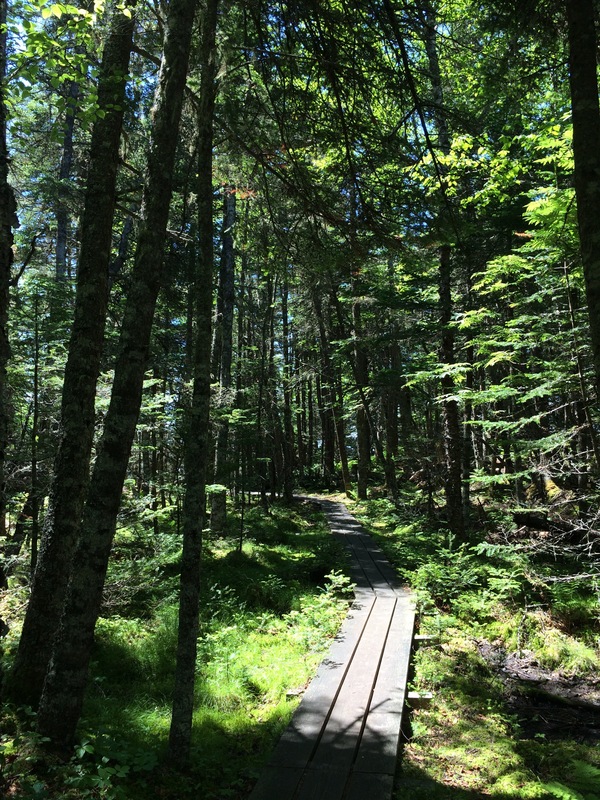 It’s a wonderful resource for all things hiking in New Brunswick.